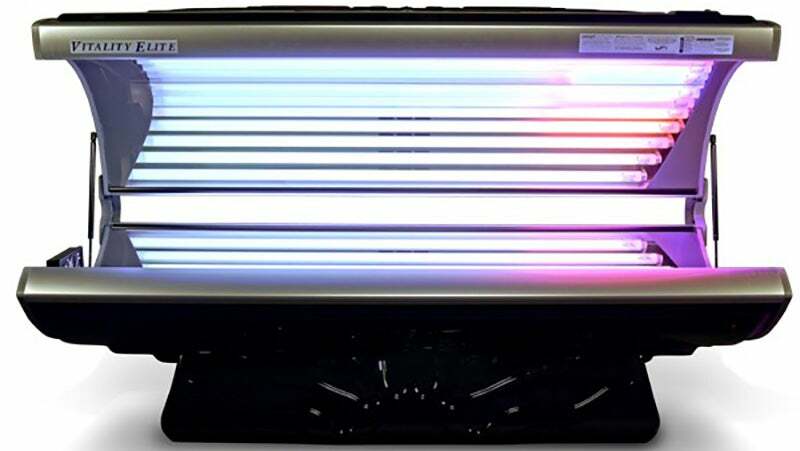 Here's the thing about tanning beds: just like the sunlight they imitate, they can increase the risk of skin cancer. Which is why anyone who bought one from Mercola is going to be getting a refund. Mercola, the company, is run by Dr Joseph Mercola, who has a history of making questionable medical claims about the effects of his products — and has received multiple warning letters from the US FDA in the past. His company website sells other devices such as the Personal Power Plate which "uses whole-body vibration technology to stimulate your body's natural response to vibration" and sells for $US1995 ($2585). The indoor tanning beds, Mercola claimed, were completely safe and could reverse the appearance of ageing. Wow! All that for only $US1200 ($1555) to $US4000 ($5183). The beds weren't endorsed by the US Food and Drug Administration, but that didn't stop Mercola from saying they were. They were, however, endorsed by the Vitamin D council — though Mercola didn't disclose that he had paid them to say so. In a proposed final order, the US Federal Trade Commission will ban Mercola from selling tanning devices. It also prohibits the company from "making false or unsubstantiated health-related or efficacy claims, from misrepresenting the existence or results of scientific tests or studies and from falsely claiming that the benefits of such devices are scientifically proven", which are generally par for the course for physicians.